Gerty Theresa Cori, a biochemist, who was born in Prague, was the first American woman to have received the prestigious Nobel Prize in Physiology or Medicine in 1947. The presentation of the Nobel Prize not only made her the first American woman, but also the third woman to receive the Nobel Prize. She lived for 61 years, all of which displayed but one thing, her dedication to her passion for chemistry which eventually resulted in her identifying of the process that muscle cells use to make and store energy. The fact becomes more important because she happened to have lived in a time when women did not have the same opportunities to study science. This process was later named after her and called the ‘Cori cycle’. Even though she loved studying, she did face some hurdles that came in the form of World War I. Though she was born in Prague, she migrated to America in 1922 and became an American citizen before she was awarded the Nobel Prize. Gerty Theresa Cori was born in Prague, on August 15, 1896, to Otto Radnitz and Martha Neustadt. Her father Otto Radnitz was a chemist by profession and worked as a manager of sugar refineries. Otto Radnitz and Martha Neustadt had three daughters, of whom Gerty Theresa Cori was the eldest. Her initial education consisted of being tutored at home after which she was sent to a girl’s finishing school. She first got fascinated with medicine as a result of the influence of one of her maternal uncle’s who was a professor of pediatric medicine at Carl Ferdinand University in Prague. Her style of education had left her ill prepared for the challenge of studying medicine. Even though she was ill prepared for the demands of medical studies, Gerty Theresa Cori studied hard and made up for her deficiencies. She finally managed to pass her matriculation from the German University in Prague at the age of eighteen. After having finished her matriculation she joined a medical college and it was here that she met Carl Cori, a fellow student she found to share a lot of common interests and hobbies with. While they were still students, they collaborated and published their first paper on the immune bodies in disease. Even though the two loved working together, when World War I broke out, Carl Cori was called away to join the army and Gerty was left behind to do routine work as an assistant at the medical school. Once the war was over, both Carl and Gerty graduated from medical college in 1920. Soon after graduating Gerty and Carl got married and moved to Vienna where Gerty started working for the Karolinen Children’s Hospital while Carl got a position at the University of Vienna. A short while later Carl moved to the University of Graz but Gerty was unable to follow. In the years after World War I, they started getting worried about the deteriorating conditions in Europe and decided to leave Europe. It was at this time that Carl got an offer from the State Institute for the study of Malignant Disease in Buffalo, New York. Six months after Carl left, Gerty applied for and got the position of a pathologist in the same institute and left Europe. In the year 1928 both of them became citizens of the United State of America. Always wanting to work together, all the publications that they published between 1922 and 1931 were done in collaboration with one another. Once in America, Gerty soon started research on the metabolism of carbohydrates and set out to answer the question about what regulates sugar levels in the blood. She and her husband worked primarily on animals and after a lot of research were able to isolate glucose-1-phosphate in 1936. Glucose-1-phosphate was then linked to the breakdown and synthesis of polysaccharides. Following the discovery of the Cori Cycle, Gerty and her husband decided to leave the institution as its primary goal was research on cancer. They didn’t meet with much success because despite the vital role she played in the research on the Cori Cycle, universities were not willing to hire Gerty and the couple refused to work separately. They finally moved to St. Louis in 1931 where Carl got the job at the pharmacological department at Washington University School of Medicine. Gerty was offered the position of an assistant researcher. It was here that she worked for the next sixteen years as a research assistant to be finally promoted to full professor just before she was awarded the Nobel Prize. Even though they shared so much in common and were both graduates of medicine, when Carl and Gerty decided to tie the knot, they faced opposition from Carl’s family. They were worried that Gerty’s Jewish heritage would hamper the progress of Carl’s career. Even the fact that Gerty converted and became a catholic did not help absolve their fears. Gerty Theresa Cori died on October 26, 1957; she was 61 years old. She had been suffering from myelosclerosis, a disorder of the spine where the bone marrow starts getting replaced by fibrous tissue. She suffered from myelosclerosis for 10 years prior to her death, but never once gave up her research! Due to her dedication to science and its advancement Gerty received many honors. Among them was the naming of one of the impact craters on the southern hemisphere of the moon after her. In April of 2008 she was honored by putting her on a stamp with the chemical formula of glucose-1-phosphate. It was reported that the formula printed on the stamp was actually incorrect but the circulation was not stopped. 1896: Gerty Theresa Cori is born to Otto Radnitz and Martha Neustadt. 1906: Gerty joins a finishing school for girls. 1914: She joins the German University of Prague. 1920: Gerty Graduate with a Doctorate in Medicine and marries Carl Cori, a fellow student. 1922: Gerty leaves Europe and migrates to America due to the rise in anti-Semitic sentiments. 1922: She joins the State Institute for the Study of Malignant Diseases in Buffalo, New York as an assistant pathologist. 1928: Gerty and her husband become citizens of the United States of America. 1929: Gerty and Carl Propose the theory about the Cori cycle (production and storage of energy in the body). 1931: Gerty moves to St Louis and joins the Washington University School of Medicine as an assistant researcher. 1946: Gerty is awarded the Midwest Award of the American Chemical Society. 1947: Gerty is awarded the Nobel Prize in Physiology or Medicine for her work on the Cori Cycle. 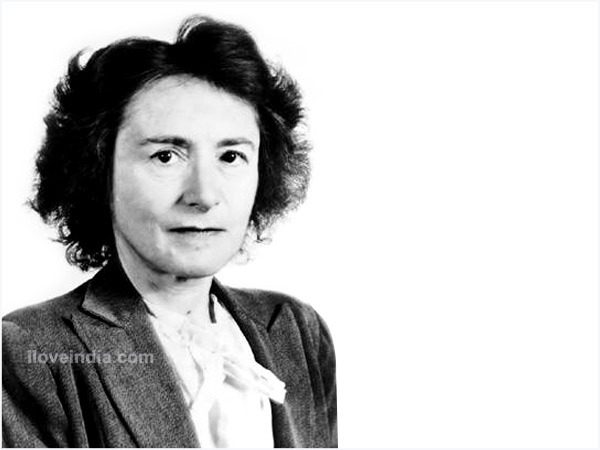 1948: Gerty is awarded the Garvan-Olin Medal in recognition of her work in chemistry. 1950: The National Academy of Sciences awards Gerty the Sugar Research Prize. 1952: President Truman appoints Gerty as a member of the board of the National Science Foundation where she serves for two terms. 1957: Gerty Theresa Cori dies at the age of 61 as a result of myelosclerosis.